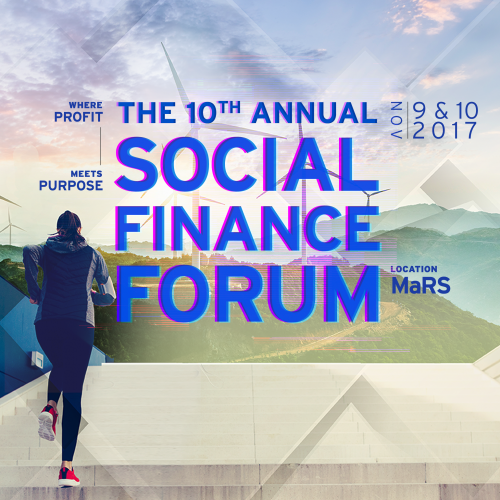 Now in its 10th year, the Forum, organized by MaRS Centre for Impact Investing, is Canada’s leading gathering of impact investors, social entrepreneurs and social finance professionals. Organized by the MaRS Centre for Impact Investing, it is the largest gathering of social entrepreneurs, social finance professionals and impact investors in Canada. Hear from more than 40 experts on where the social finance market is headed – and the challenges and opportunities that lie ahead. Explore the latest innovations, ideas and investment opportunities from Canada’s social ventures at pitch sessions and showcases. And connect with more than 400 like-minded professionals who believe in the power of business to shape a better future.